Rashmi Singh is one of a very small number of female Consultant Urological Surgeons in the country thus offering female and male patients in the South West London and Surrey area a unique opportunity to consult a woman doctor for any urological problem. 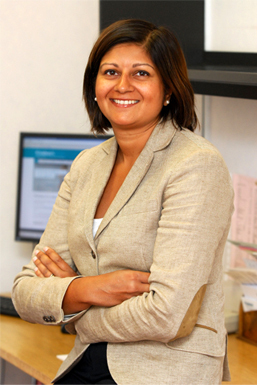 She has been a Consultant Urological Surgeon since 2006 offering over 10 years of experience. In addition to her general urology practice and experience with female urinary problems, she offers laser and keyhole surgery for kidney stones. Her NHS practice is divided between Kingston and St George's Hospitals. She is one of the lead consultants in the Stone Unit at St George's Hospital. Her private practice is based in Wimbledon, Kingston-upon-Thames, Sutton and South West London. She is recognised by and fee-assured with all the leading medical insurance companies. Self pay patients are also welcome.